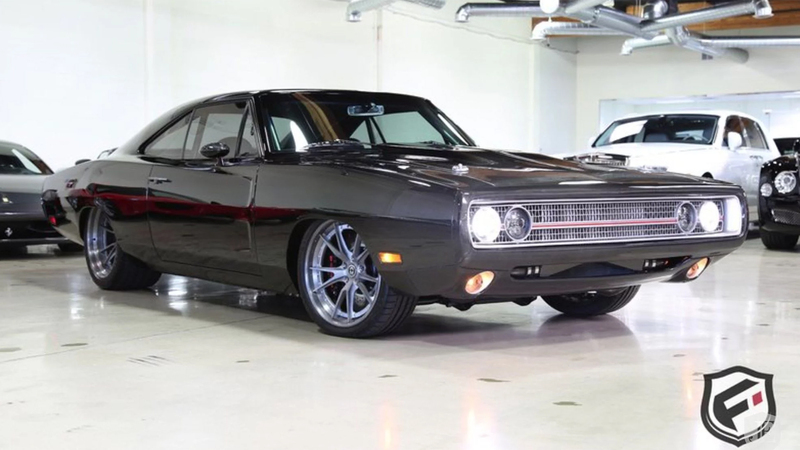 Say you're in the market for a classic Dodge Charger. Hey, you've got good taste. You could take one route and drop upwards of $100,000 on a mint condition, all-original survivor—or you can spend nearly seven times that amount for Speedkore's 1970 Dodge Charger Tantrum build, which takes the muscle car ethos to the extreme with a 9.0-liter twin turbo V-8 from a racing boat making an ungodly 1,650 horsepower. Money may not be able to buy happiness, but it sure can buy a gigantic engine. 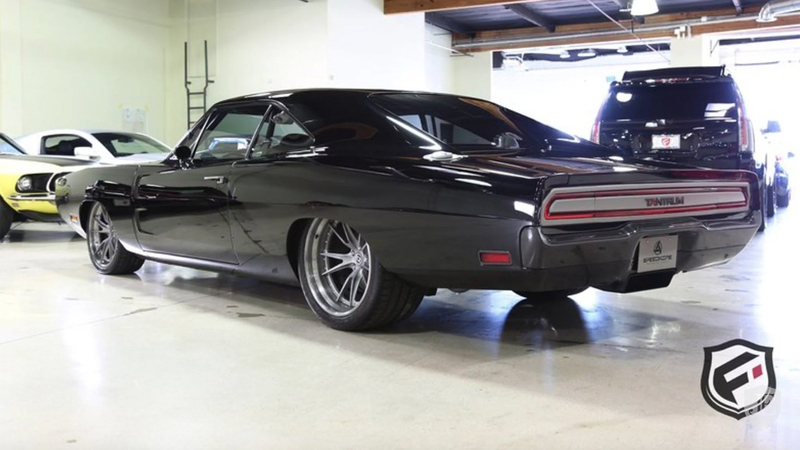 Built back in 2015 by the Wisconsin-based shop, this Charger—for sale in California for a cool $699,000—has been recast in carbon fiber, with its hood, fenders, door panels, and bumpers all made out of the magic stuff. It's tastefully done up with the raw weave exposed at the front end and a fade-to-black paint job moving toward the rear. 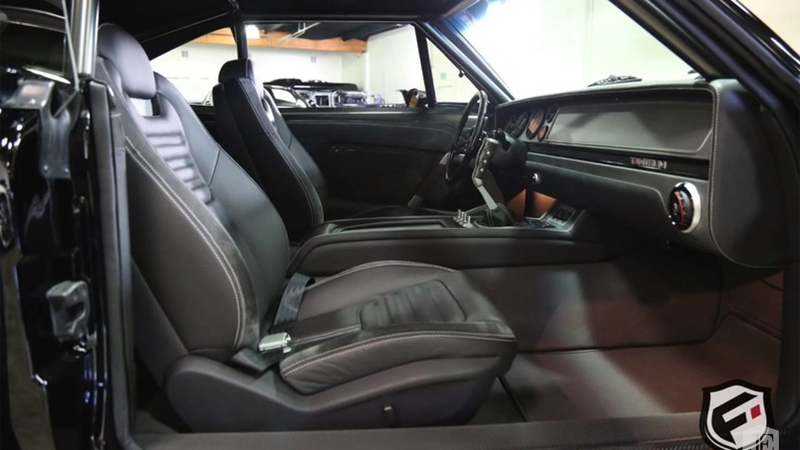 It's got a custom chassis and a built-in roll cage, and tasteful retro-modern interior lined with acres of leather and Alcantara. The epic build certainly jacks up the price, but so does a cameo in last year's The Fate of the Furious. But that's not what we're here to talk about. We're here to revel in the presence of a dang Mercury Marine racing boat engine under the hood of a street car. Mercury Marine may not be the first name in hot rods, but a burgeoning crate engine business has made them one of the go-to options for making things on four wheels hilariously fast in recent years. This isn't one of those powerplants, though—designed for actual boat use, it had to be adapted specifically for this project. The massive DOHC engine is bigger than anything American manufacturers dared to stick in a muscle car during the go-go Sixties, and at 1,650 horsepower, it's a just a tad more powerful too. It's paired with a Tremec six-speed manual shifter, and all that grunt flows to the massive rear wheels through a 9-inch Ford rear end. So what's it like on the street? We actually have a little hands-on experience with this beast, as our Will Sabel Courtney got behind the wheel when he visited Mercury Marine's headquarters last year to test out some of their other engines. "I only drove it for a couple minutes on public roads, but it was shockingly docile for a car with 1,600 horsepower and no traction control, even when it started to rain," he says. "But I did floor it from a stop in first gear leaving the parking area. It was like setting off an atom bomb over the rear axle." None other than Jay Leno agrees, finding the car to be both predictable and usable during his own test on an episode of Jay Leno's Garage. And it's similar in spirit to the Ringbrothers AMC Javelin AMX that we drove earlier this year, which manages to mostly hide its ferocious nature as long as you pretend the throttle only goes down an inch. Pass that point, and you're in Burnout City. Something tells us the new owner will be able to afford the tires, though. One of the most insane crate engines you can buy is built by a company known for boat engines.